CONVERSATION: John Drury, curator of the "Alternative History" exhibition at Heller Gallery, discusses his view of "other glass"
John Drury, a contributing editor for the print edition of Glass, doesn't care for rules or limitations, having made a name for himself as one half of the subversive art project known as "CUD," his long-standing collaboration with Robbie Miller which stresses boundary-breaking and social awareness in art-making. 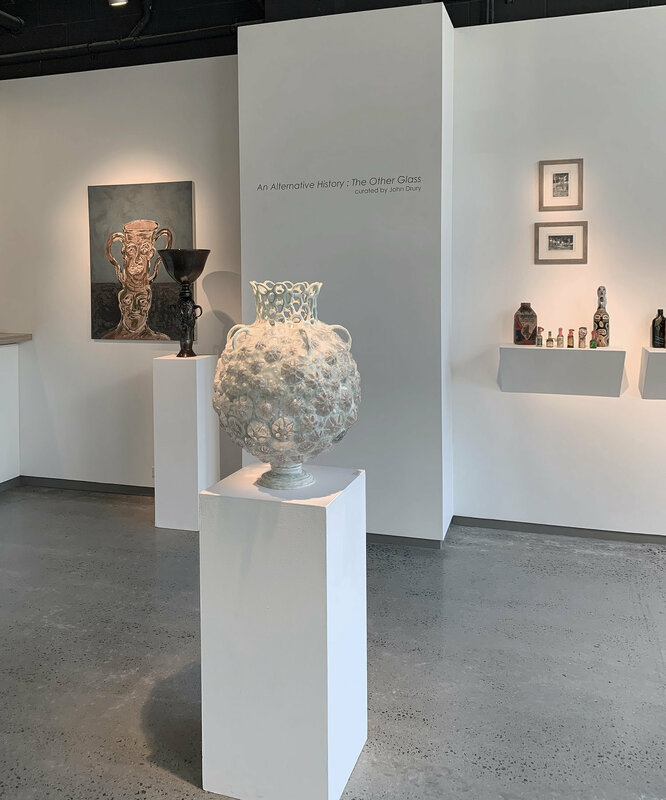 Most recently, Drury curated a group exhibition (currently on view at Heller Gallery in New York City through February 23, 2019) titled "The Other Glass: An Alternative History." 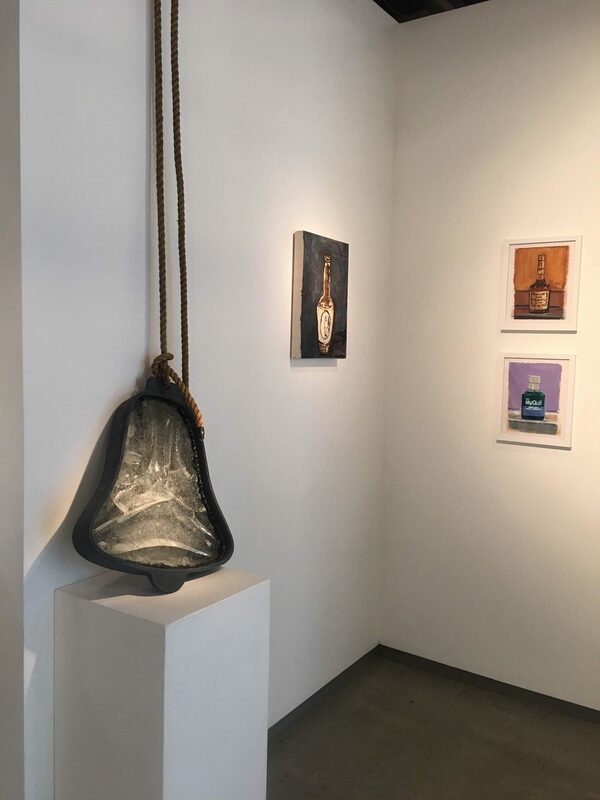 Featuring a wide range of work by a diverse list of artists that includes Nancy Cohen, The Hansen Brothers, Lonnie Holley, Amy Lemaire, Shari Mendelson, Robbie Miller, Jerry Pethick, Walter Robinson, Buster Simpson, Megan Stelljes, and Robin Winters, the exhibition will remain on view at Heller's Chelsea location through February 23rd. The Glass Quarterly Hot Sheet caught up with Drury to ask him about his goals for this ambitious exhibition. 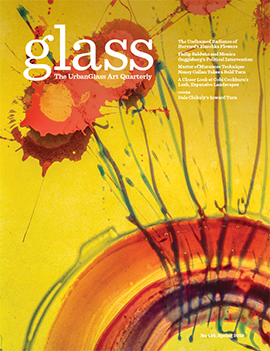 Glass Quarterly Hot Sheet: What is the "alternative history," and specifically, what is it an alternative to? What is the story that you are reacting to in this exhibition? 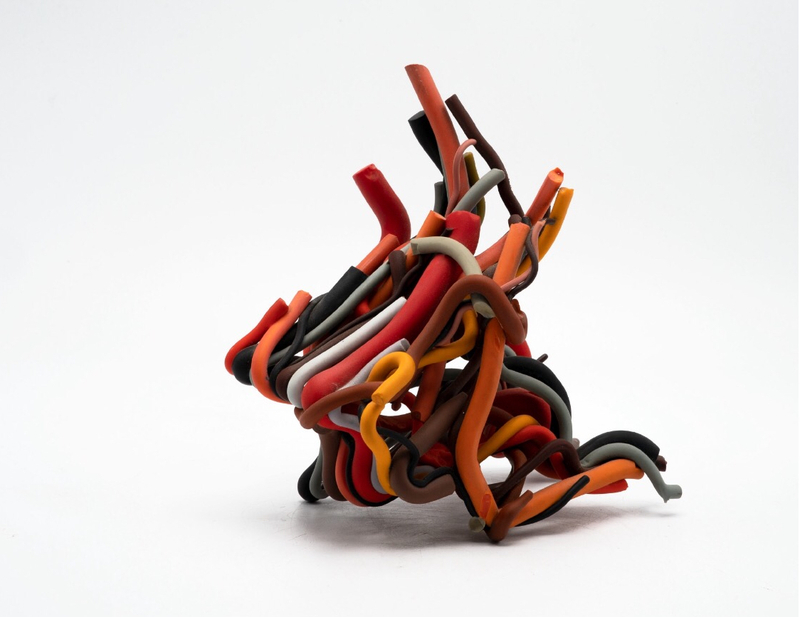 John Drury: This exhibition is intended as an avenue to a broader perspective on the material glass as a creative medium. 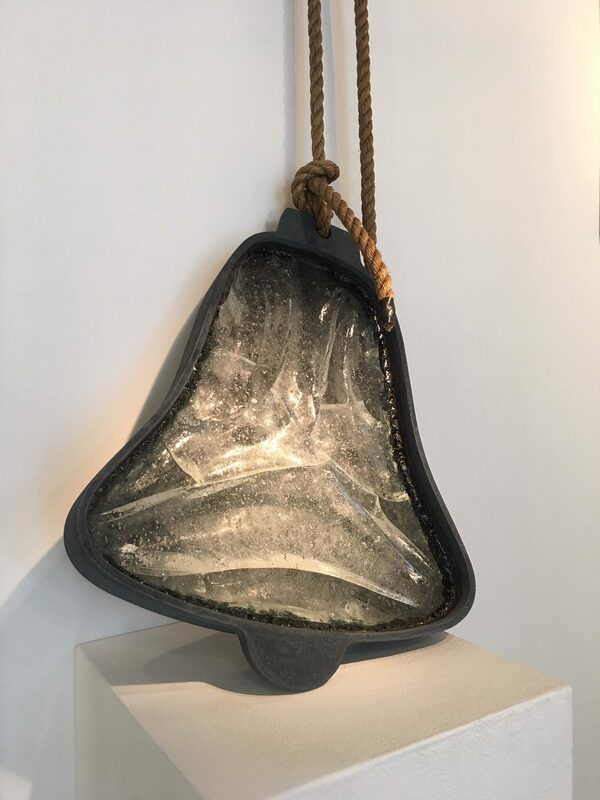 The story I tell is a reaction to that narrow view as it's presented in reference the use of a material: first from the factory and then, in theory, a substance liberated by the Studio Glass movement in 1962. This is a story we've heard ad nauseum, and a tale largely exclusionary to women and individuals of color. I offer an alternative, an awakening if you will, to include makers incorporating glass from outside this relatively closed canon that is so often inelastic. This will change. In opposition the norm, very few of these artists that I include create using only glass. Included in the exhibition are half a dozen historical works from my collection, presented here as examples a personal practice of inclusion and quality of expression, in preference over technical expertise, that strictly decorative and works void of true concept. Glass: How did you go about assembling the art that is included? Drury: "An Alternative History: The Other Glass" is, as should be expected, composed of artists whose work I greatly respect. One I have known for 35 years, another for just 6 months. As a maker myself, I've employed the material glass in my own non-traditional sculptural endeavors since 1982. These then are my brothers and sisters in “crime”. 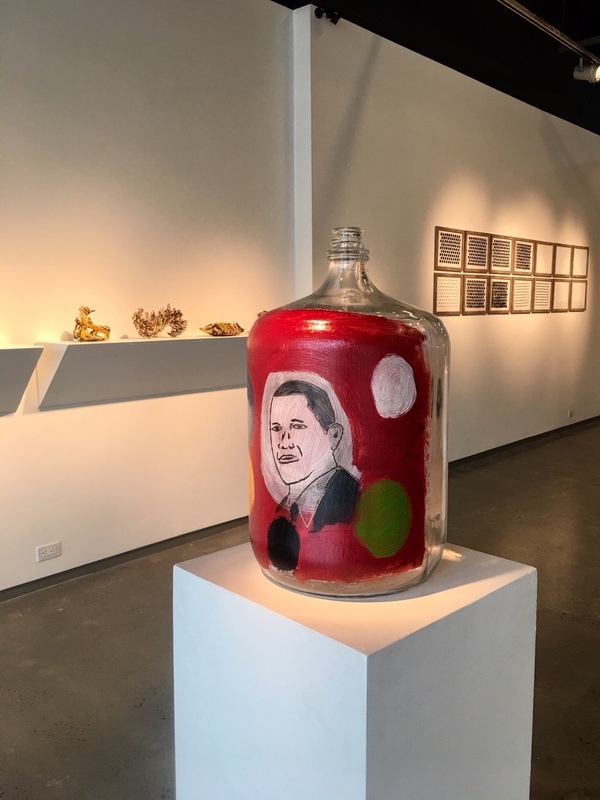 Robbie Miller for example, whose luscious fired-enamel painting on commercial glass is included in the exhibition, is an artist I have also collaborated with since 1988. 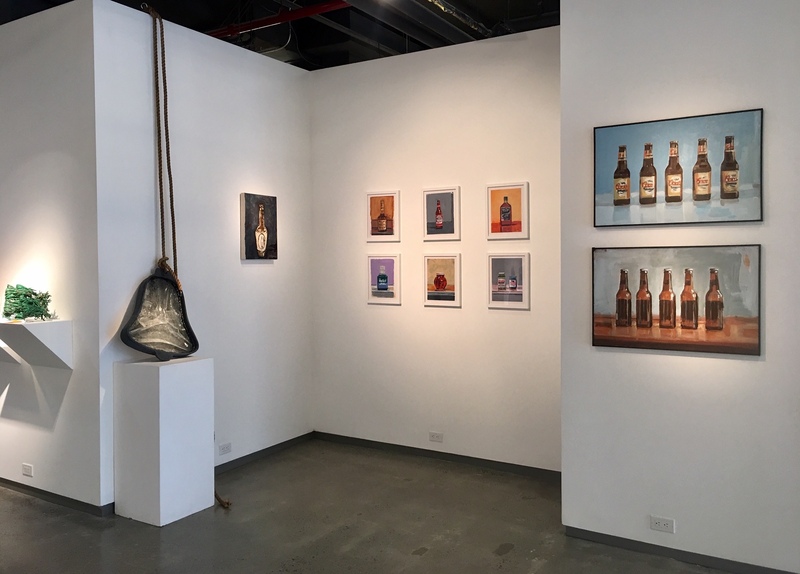 In juxtaposition, the works of these participants compliment one another visually, and, in conversation, reveal new insight into the material and its influence. In 2015 I was on Hornby Island (British Columbia; the property of Margaret Pethick), inside the hay-bale studio of artist and inventor Jerry Pethick (1935-2003), a friend and mentor. In preparation for the completion of my text, included in the monograph Shooting the Sun/Splitting the Pie - a document published as a companion work to the retrospective exhibition of Jerry’s life work at the Vancouver Art Gallery - I was granted access to his voluminous paper work, and assorted ephemera spanning his long career. This material had been largely untouched since his death, boxed and stacked atop Jerry’s snooker table. Included in that treasure trove of personal effects was a series of (if known, then totally forgotten) 14 silver-gelatin prints, which I happened upon. Jerry holds a patent for the fly’s-eye-lens camera and here, certainly as close to science as to art, is the documentation his first experiments with that optical device so instrumental his work to follow. These same, 14 original prints are included in "The Other Glass: An Alternative History," record the camera’s eye if you will – the iris – opening and closing, to allow and disallow light, thereby directly exposing photographic paper. 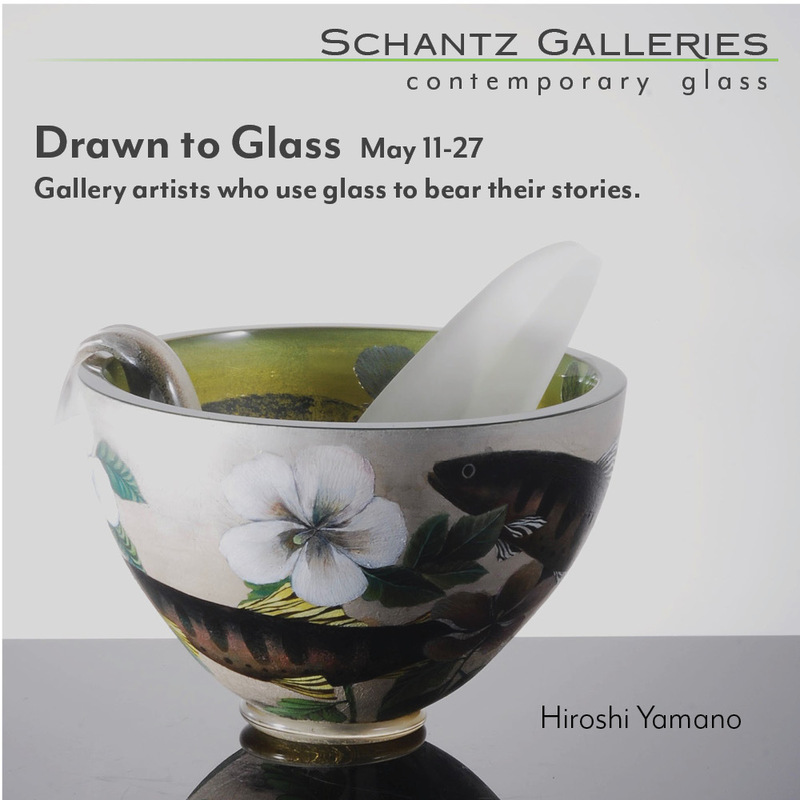 These then, were the impetus, the spark behind the ignition this exhibition presenting paintings on glass, paintings of glass, that which mimics glass, that glass the result experimentation and embraced whimsy and that produced as made possible by glass. Glass: Do you see this as a definitive counter-canon to the traditional glass canon? Should art historians pay close attention? Drury: Art historians I believe, should pay close attention, to anything creatively made - particularly that defying easy categorization, classification (this or that -ism) and reflective all peoples - here lies unique, here is equity. Without a thorough understanding of those works produced, particularly of their time, they fail. If not “counter” (and I believe growth need not come from a position of steadfast opposition), certainly at least intended as a companion, to what has been a shamefully narrow view of glass as a creative material. The works of those eleven contemporary artists which I have chosen to celebrate, create not in a world of media specificity but, simply incorporate the material sometimes by chance and certainly by choice - in what is a much broader, metaphorical pallet of practice. Theirs is not a material hierarchy but, a substance adopted in support an agenda personal, political and/or simple media availability. For example, Buster Simpson’s work always looks to social concerns as avenue to a strong conceptual base. You will not see Buster striving to “match” the proverbial couch. Glass: What do you hope your exhibition will accomplish? including museums and the glass gallery system as points of fault. Too often works of mimicry (sometimes outright thievery), colonization and the benign decorative find support in replacement, that work with strong conceptual foundation – those works worthy recognition. I use often the comparison of the daily newspaper, produced in an effort for broad appeal and to sell as many copies as is possible, thus geared to the reading level of an eighth-grade education; dumbed down to the detriment of us all. In glass - the result, that enjoying brisk sales is rarely that same work of the highest and lasting quality. We confuse capitalist potential (success?) with true aesthetic value. As "The Other Glass: An Alternative History" is a somewhat East Coast-centric offering, an "Alternative, Too" is currently in the planning stages for a West Coast venue. Stay tuned. "The Other Glass: An Alternative History"